I realize this isn t exactly what most of us think of when we think of woodworking, but I ve always gotten good advice here, so I figured I d ask. I moved into a home about a year ago, and have been doing all the obligatory fix-ups. 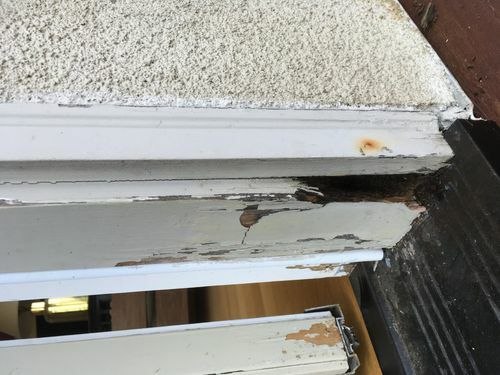 Next on the list is fixing some minor rot at the bottom of an exterior door jamb. Does this look fixable with some of that wood epoxy, or am I faced with replacing the board? Geez, that reminds me of the parts I need to repair at the ceiling and wall at the upper rooms. Got to finish installing the new rack, promaxx tonneau and brake kit on the truck. How’s your process installing the insulation?